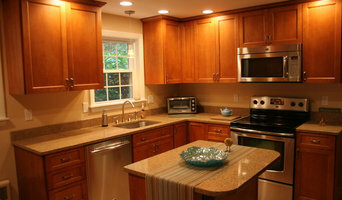 Sales and installation of doors, windows, kitchen cabinets, countertops. Our company specializes in changing the climate of your home with energy efficient doors and windows. We can change the climate of your home with a new kitchen and countertop also. We are a local company with years of knowledge and experience. Tri-Town Woodworking was founded in 1987, it soon became the exclusive woodworking company in the Northeastern United States. Since 2007, new owner Eric Katon continues Tri-Towns dedication to quality through superior wood products, custom woodworking techniques, and unparalleled customer service. Our company serves the high-end residential and commercial markets with custom woodworking services, from kitchens to moldings to stairs and everything in between. Our office and fabrication center is located in Acushnet, MA. Our work can be seen in woodworking and home magazines throughout the country. Cabinetmaking for Homeowners and Contractors. Room Design Service Available. 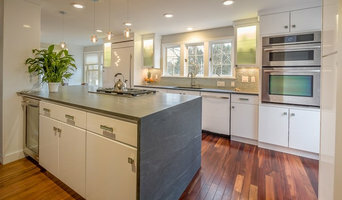 With our 30 years of experience and training from high-end professionals in the carpentry and remodeling business, you can be sure that you are putting your home or business in the hands of the best at South Shore Custom Cabinetry. We combine carpentry techniques that have been used and proven for centuries with the best of modern tools, products, and knowledge. As a family-owned business, we understand the importance of quality, craftsmanship, and longevity. We want to help make your home or business a place that you can be proud of by designing and installing beautiful woodwork that will last a lifetime. You will be amazed at what a few upgrades and finishing touches can do for the look and feeling in your home or office. We offer our clients a wide range of premium services—from building cabinets only to creating a full installation. (Please note that full installation is offered only in the Southern New England area.) We built to last by using the finest techniques and the highest-quality products. Each piece is designed and built inside of our shop. We do not purchase material or premade products from overseas. We take great care and pride in our craftsmanship. 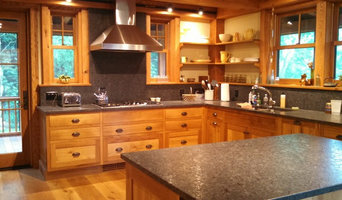 At South Shore Custom Cabinetry, we build custom bath and kitchen cabinetry as well as specialty cabinets. We also build custom closet systems, entertainment centers, bookcases, and mantels. All of our drawers are made of solid maple wood and are assembled with dovetail joints. We pay close attention to the details as we create pieces that you will want to show off to your friends and family and that will last a lifetime (or longer!). We also offer full remodeling services for your bath, your kitchen, or your entire house. Whatever your dreams are, large or small, we can help turn them into reality. We know that you are the reason our company is successful and your satisfaction is our highest priority. You can be sure that when you hire South Shore Custom Cabinetry, you are getting the best in design, construction, and installation. 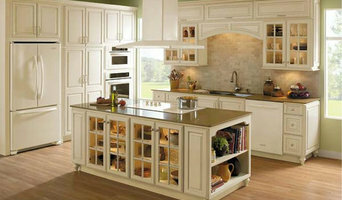 We can ship your cabinets or other pieces anywhere in the continental U.S. They can be left unfinished or you can choose from a variety of finishes to complete your project. Russ Borden is a Master Craftsman with over 30 years of furniture and cabinetmaking experience. Providing high quality home furnishings from the finest materials using the honored joinery techniques. Capable of making custom designs to meet your needs and designs. In home consultation services are available. The kitchen is the heart of your house. It is a personal place where family and friends gather to connect and make memories. When you are designing your kitchen, it should meet the needs of every member of you family and make your guests feel comfortable. Our staff has a cumulative 55 years of experience in design, space planning and construction. We will take every facet of your space into account to build a beautiful and functional space for your family. From design to completion, we will be there for the whole journey. Our philosophy is simple: Evaluate the requirements, propose the best possible solution and make it come to life using the highest quality products and services at the lowest possible price. *Authorized StarMark Cabinetry Dealer* Add value to your home and your life with a beautifully designed and user-friendly kitchen or bath. Don’t settle for picking your remodel out of a catalog. You won’t find any cookie-cutter designs when you allow us to create your new kitchen or bathroom. You start by sitting down with us one-on-one to discuss your wants and needs and then tailor a design to fit your style and functionality, Your full-service designer. In addition to providing you with 3-D CAD drawings, cabinetry and more, we also work with local contractors and can coordinate construction and installation to complete the job.